Soliento in NUVALI is designed to provide recreation, inspiration, and essential respite from the city’s blare and bustle. Its pocket neighborhoods promote a solid community of families and neighbor friends. • Approximately 66 hectares gross land area. • Located between Banias and Cauang-Cauang rivers. The Banias River and Cauang-cauang River are approximately 25-30 and 30-35 meters high, respectively, from the river bed to the top bank. 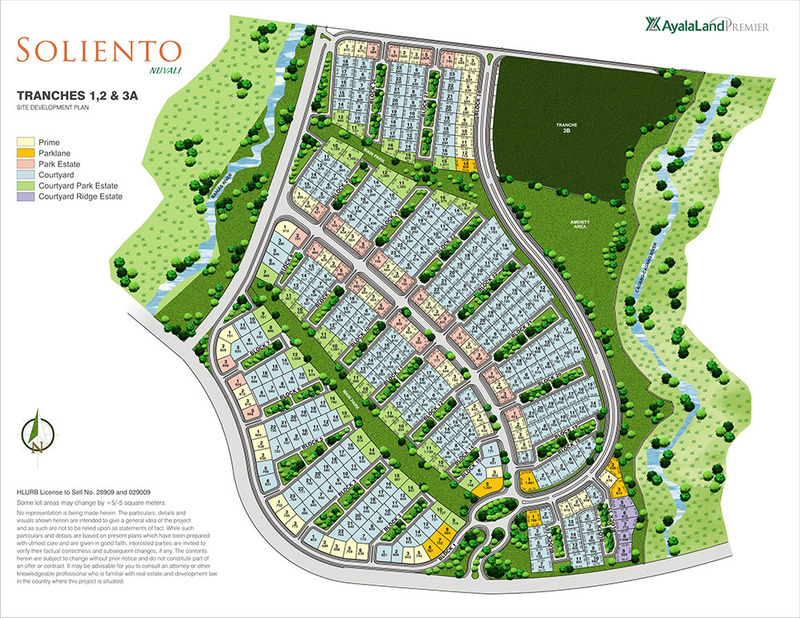 • The development is within the vicinity of Canlubang Golf and Country Club. •Soliento offers stunning views of the Tagaytay ridge. • General terrain is composed of an interesting mix of undulating (south portion) and flat terrain (north portion). • Elevation is around 159-185 meters above mean sea level. The village amenities will be designed to maximize the land’s natural beauty. These amenities and facilities are envisioned to create opportunities to commune with nature while spending leisure time with family and friends. 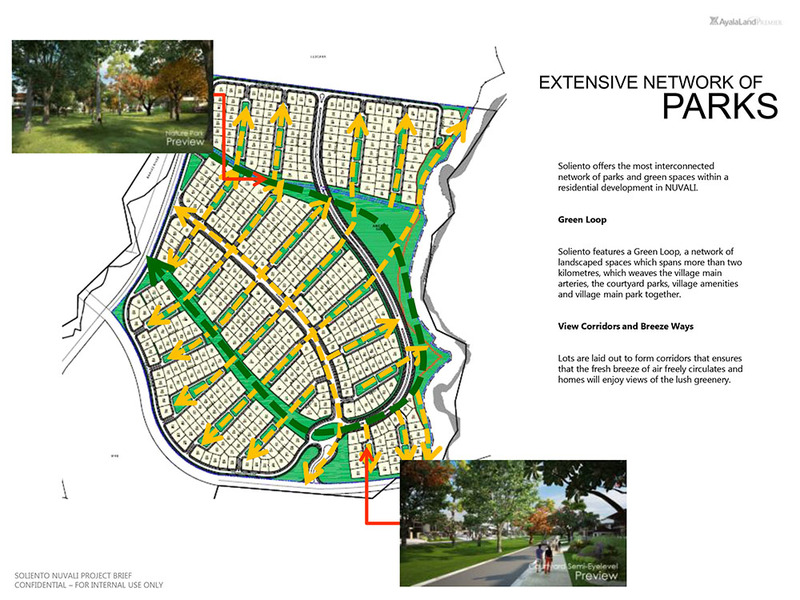 Soliento is right in the midst of NUVALI’s sustainable urban landscape. 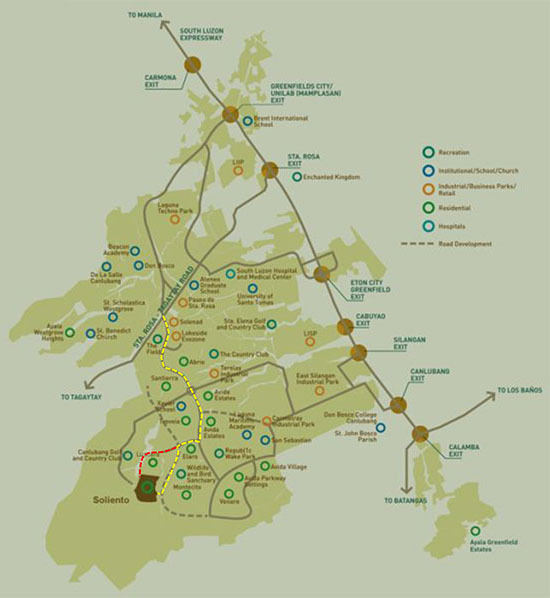 It is a few minutes away from NUVALI’s flourishing commercial centers, educational institutions, leisure facilities and amenities. Its location at Barangay Canlubang, Calamba, Laguna, provides an idyllic residential setting framed by the views of Tagaytay Ridge and Mt. Makiling, as well as the Canlubang Golf and Country Club in some portions of the village.